We want to see people enjoy life, be filled with love and walk in the freedom Jesus died to give us. We encourage every believer to be baptized in water by immersion. This is an important step in a believers life and we look forward to celebrate together as you take that next step. 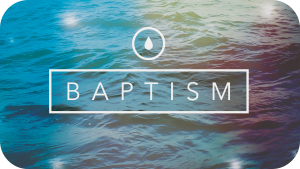 You can sign up to be water baptized by filling out the form below. We encourage you to get started with your Daily Wash, a simple, but powerful method of studying Scripture. Click the image to find out more.